Copyright to 2015-2016 InsidersHealth.com. All Rights Reserved. In the 1970s the Chinese government asked scientists to research the unusually large number of centagenarians in the small mountain provinces of Guizhou, Guangxi and Shicuan . In addition to unusual longevity the researchers found low incidences of many common ailments associated with aging including, diabetes, high blood pressure, Alzheimer’s and cancer. After over 10 years of study they found one common thread. A plant the locals called “xiancao” the “immortality” plant. The villagers drank it several times a day simply because it tasted good and is naturally sweet. Researchers discovered in the lab that this simple mountain herb had much more to offer than just good taste. Since it’s rediscovery in the 1970’s, scientists in China, Japan, Germany and the USA have conducted over 300 studies into the therapeutic properties of Jiaogulan. Pronounced (gee-OW-goolahn), scientific name Gynostemma Pentaphyllum, Jiaogulan is a member of the cucumber family. As the name implies, it grows in characteristic five leaf clusters and is a low lying vine or ground cover. Jiaogulan, which grows wild throughout Asia, has been brewed for beverage and used as medicine in the southeastern provinces of China for centuries. Literary reference to the herb dates back to the Ming Dynasty (1368 A.D. to 1644 A.D). Jiaogulan leaves has been used for centuries has a refreshing tea and key component of traditional Chinese medicine. Modern research has isolated over twenty-six saponins in Jiaogulan. The adaptogenic effects of these saponins are the key factor in its health benefits. No other single herb has been researched so thoroughly in China as Jiaogulan. According to recent studies, Jiaogulan lowers cholesterol levels and may also have beneficial effects on vascular walls. Jiaogulan lowers blood pressure, protects the heart muscle from ischemia, strengthens the immunological functions of the body, and reduces blood clotting. And it’s so effective at preventing signs of aging, the Chinese call it the Immortality herb! When you’re tense, you produce hormones,” says Dr. Liu. “They over stimulate the nervous system, making you even more tense and triggering more stress hormones!” Jiaogulan to the rescue. Athletes who took it before a competition reported feeling less tense and more focused. And when people couldn’t sleep due to stress took 80 mg. of Jiaogulan daily, 95% were sleeping well within a week! Signs of aging are avoidable say the pros, if you can tame the free radicals that cause them. “If free radicals aren’t shut down, they cause everything from cataracts to cancer, explains biochemist Sbubbuti Dharmenanda, Ph.D. But studies show taking 40 mg of Jiaogulan daily triples your production of superoxide dismutase, a chemical that neutralizes free radicals by 21%. “That can mean fewer wrinkles and a younger body,” says Dr. Liu. Its ability to keep stress hormones under control also makes Jiaogulan a powerful immunity-booster. “Stress hormones weaken immunity, says Dharmenanda, “but Jiaogulan prevents them from flooding your system and making you more vulnerable to illness.” In fact, research suggests a daily dose could cut your risk of colds, flu and infections 33%. And preliminary research suggests Jiaogulan boosts infection-fighting blood cells so dramatically, 240 mg. daily could cut cancer-cell production 30%. No doubt you’ve heard that high blood pressure and cholesterol can damage your heart’s arteries. But researchers say they’re no match for Jiaogulan. Studies show taking 300 mg for just two weeks can cut high blood pressure reading of 220/100 to a normal 120/80. The reason says pros: Jiaogulan boosts production of nitric oxide, a chemical that releases blood vessel walls. And although no one’s sure yet why, follow-up research shows 300 mg. daily also slashes artery-clogging LDL cholesterol levels an incredible 25%. Jiaogulan is Recommended for the Following Reasons in China, Japan and Thailand. Jiaogulan (Gynostemma pentaphyllum) is a powerful adaptogenic Chinese herb which is still relatively unknown in the Western world, although this is changing fast. Used in China for centuries as a culinary botanical and as a tea, this herb has traditionally been grown in a mountainous region in South Central China, an area known, for the longevity of its inhabitants and reportedly low rates of cancer. It is known as an an “adaptogen” since it has the unique ability, as some tonic herbs do, to adapt to stress by always restoring “homeostasis or balance, to the body’s systems, including blood pressure, reproductive function, digestive function, the immune response, mental function, physical performance, and other physiological markers. Russian scientist N. V. Lazarev coined the term adaptogen in 1947 to describe herbs that have “a normalizing action on various bodily functions regardless of the direction of the pathological condition.” In other words, an adaptogen is an herb that helps the body self- regulate. If something is out of balance, either too much of something or too little of something, an adaptogen helps the body return to the ideal state. Research has shown that the Chinese herb Jiaogulan (Gynostemma Pentaphyllum) is one of the most powerful adaptogens available. Studies in1990 demonstrated that “Jiaogulan enhanced resistance against the effects of excessive exercise, oxygen deprivation, electric stimulus and high temperature. “When stress arises, Jiaogulan equips your body to meet the challenge. As we age the cumulative effects of living eventually catches up with us. In modern times this is exacerbated by our hurry-up life-styles and the numerous pollutants we encounter everyday. A healthy diet and regular exercise are the two best things we can do to slow this process. In addition to these two essentials, many of us are looking for dietary supplements to slow the process. While there is no magic bullet, recent research has demonstrated that the Chinese herb Jiaogulan can be beneficial in counteracting many of the effects of aging. Jiaogulan actually stimulates your bodies production of anti-oxidants. 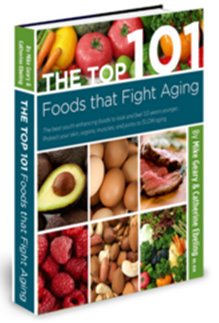 Your body uses anti-oxidants to break down the free radicals associated with aging. Research has also found links between Jiaogulan and reduced hypertension, diabetes, heart attacks and stroke, all ailments that become more common with age. China is a big place! The writing and publication of scholarly texts in ancient China was financed through a rigid patronage system. Since the seat of power for most of China’s history has been in central and northern China and the classic Chinese medical texts were written by the royal physicians these texts were written from the perspective of physicians from central China. Meanwhile, the traditional medicine of southern China was largely ignored. Jiaogulan grows naturally in certain small provinces in southern China. Consequently, the authors of TCM had only passing familiarity with Jiaogulan. Jiaogulan is first mentioned in literature during the Ming dynasty. In 1406 the physician Zhu Xiao described Jiaogulan in a medical text called “Materia Medica for Famine”. In this text he simply recommends Jiaogulan as a cheap dietary supplement for people living in some of the “poor” provinces. In the late 1500′ Jiaogulan is again briefly mentioned in the classic TCM text, “Compendium of Materia Medica”. However, the author Li Shi-Zhen confused Jiaogulan with another herb and recommended it for use on cuts, bruises, edemas of the neck and other trauma. This confusion is cleared up during the Qing dynasty by herbalist Wu Qi-Ju in the book, “Textual Investigation of Herbal Plants”. Again, Jiaogulan is only briefly described although the applications are clarified. The focus of TCM on plants from the North and central China and the confusion in the texts resulted in Jiaogulan never being widely used in China. However, it remained popular among the villagers of southern provinces especially Guangxi and Shicuan provinces. The frequent consumption in Guangxi and Shicuan had some interesting results that were not noticed until the great Chinese census of the 1970’s. What the census revealed was startling and led to the modern discovery of Jiaogulan. How many times have we seen a TV reporter ask someone who just turned 100 the secret to a long life? What would happen if there were a place where 100 year olds were common? Certainly the scientific community would be intrigued. This is what happened as a result of the first extensive census in China. The census revealed that in the provinces of Guangxi and Shicuan in southern China people routinely lived past the age of 100. The Chinese government wanted to know why and commissioned a team of researchers from the Chinese Academy of Medical Sciences to investigate. The researchers considered genetics, climate, diet and many other factors. They finally found only one common factor, the frequent consumption of a tea made from a local wild vine. In fact, the locals gave the researchers a big clue. They called this plant “Xiancao”, the immortality herb. Researchers identified the plant as Jiaogulan (known in latin as Gynostemma pentaphyllum). In 1978 the Chinese government appointed Dr. Jialiu Liu to lead a sixteen scientist team researching the potential uses of plants growing in the Mount Fanjing Nature Reserve. Dr. Liu’s team settled on Jiaogulan as the most promising. Dr. Liu’s team conducted extensive research into the benefits of Jiaogulan eventually resulting in over 300 human and animal medical studies that documented thoroughly the amazing benefits of Jiaogulan. They also began to reveal the mechanics of these effects although research continues. In parallel, researchers in Japan were also discovering Jiaogulan. In Japan the plant is known as Amachazuru (which translates as sweet (ama) tea (cha) vine (zuru) ). Dr. Masahiro Nagai first researched Jiaogulan as a potential sugar substitute. Remember in the 1970’s when artificial sweeteners like Sweet n’ Low were all the rage? Naturally many companies were searching for other alternatives in order to capture this booming market. Dr. Nagai investigated the plant Amachazuru (Jiaogulan). He was surprised to discover that Amachazuru contained many of the same health benefiting compounds and Ginseng. He published his findings but dropped the project as it appeared Jiaogulan was not sufficiently sweet to make and efficient sugar substitute. Later Dr. Tsunematsu Takemoto read Dr. Nagai’s paper and became interested in Amachazuru. Dr. Takemoto and his team researched Amachazuru throughout the 1980’s and published extensive findings including documenting 82 separate saponins (the beneficial compounds in Ginseng which has only 29 saponins). Called the “Fairy Herb,” it is also called “Southern Ginseng” due to its high quantity of special saponins called “gypenosides,” which are very similar to the ginsenosides found in ginseng, but at a level several-fold higher. In fact, a pharmacological review from 1988 identifies 82 individual saponins, many of which were effective in treating tumors, decreasing blood lipid levels, and in treating ulcers. Jiaogulan has been shown to have over 82 saponins (vs. just 28 in the better known adaptogen, ginseng). The saponins increase blood supply to the internal organs through enhanced cardio-vascular function. As the internal organs are better nourished and more active due to increased blood flow they tend to naturally return to a normal state. The second adaptogenic effect is a positive effect on the nuero-endocrine regulation. Your nuero-endocrine system is a key component in the body’s self-regulation. So by enhancing nuero-endocrine function, Jiaogulan is helping the body help itself. Finally, Jiaogulan has a calming effect on the central nervous system. This in turn reduces the production of free radicals in your body and over production of the adrenaline, both of which can be injurious to the overall system. 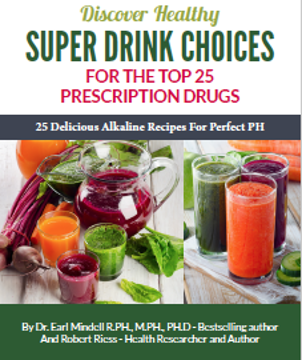 Most of us are familiar with the numerous studies on the damaging effects of free radicals on our bodies as we age. Free radicals are linked to numerous common ailments including cancer, diabetes, arthritis, Alzheimer’s and accelerated aging in general. Scientists believe the body’s natural defense against free radical are antioxidants. However, given our modern lifestyles we need more antioxidants than the body can supply. Fortunately, nature is filled with sources of antioxidants including orange juice, blueberries and ginseng. Medical studies suggest Jioagulan is a more potent and effective source of antioxidants than all of these. This herb has shown in tests to lower the amount of Superoxide radicals and hydrogen peroxide in certain white blood cells, an excellent indicator of antioxidant activity. Clinical studies have shown that Jiaogulan stimulates the body’s natural production of the antioxidant enzyme superoxide dismutase . Research demonstrates that when we ingest SOD very little of the antioxidant is actually absorbed into our system. The body’s digestive process breaks down the SOD before it has a chance to enter our body. Jiaogulan works differently, it stimulates the synthesis of SOD by our bodies. Because the SOD is internally produced, we bypass the digestive system and 100% of the SOD production goes to fighting free radicals in our systems. Charting SOD levels in various animal species is a reliable indicator of their longevity. Trials in humans shoved that SOD levels returned to youthful levels after taking 20 mg of Gypenosides (active elements in Jiaogulan) daily for one month. Li, Lin, et al. Protective effect of Gypenosides against oxidative stress in phagocytes, vascular endothelial cells, and liver microsomes. Loma Linda University, California. 1993. Dai, D.Y. et al. The effect of antioxidant Chinese herbs on SOD activity, MDA content and ultrastructural damage to brain tissue in mice with chronic fluorosis. Chinese Journal of Endemic Diseases. China. 1998. Cheng, Y.H. et al. The effect of antioxidant Chines herbs of SOD activity, MDA content and ultrastructural damage of the kidney tissue in mice with chronic fluorosis. Guizhou Medical Journal. China. 1998. Liu, Lialiu, et al. Effects of gypenosides-containing tonics on the serum SOD activity and MDA content in middle aged persons. Journal of Guiyang Medical College. 1994. Zhou, S.R. et al. A preliminary study of the effects of Gynostemma Pentaphyllum on endurance, spontaneous motor actvity and superoxide dismutase in mice. Asia Pacific Journal of Pharmacology. 1990. Lin, C.C. et al. Antioxidant and hepatoprotective effects of Anoectochilus fromosanus and Gynostemma pentaphyllum. American Journal of Chinese Medicine. 2000. In 1990, L. Chen, Ph.D., et al., studied “heart function and hemodynamics” in a non-human model. Results indicated that the gypenosides-treated animals achieved: significantly lowered blood pressure; markedly decreased vascular resistance; and increased coronary blood flow [including that to the brain]. Many Physicians have been using Jiaogulan as a part of their protocol for treating hypertension for many years. Researchers in China studied the effectiveness of Jiaogulan in lowering blood pressure to the effectiveness of ginseng and a drug called Indapamide ( a common alpha receptor inhibitor). After 3 months the more widely known ginseng had an effectiveness of just 46%. Jiaogulan had an effectiveness of 82% and Indapamide was 92% effective. Recent studies seem to indicate the mechanism at work is suppression of the Nitrous-Oxide in signaling pathways resulting in relaxation of the blood vessels. The relevant research studies are cited below. Achike, F.I., et al. Nitric oxide, human diseases and the herbal products that affect the nitric oxide signalling pathway. Clinical and Experimental Pharmacology and Physiology, September 2003. Lu, G.H., etal. Comparative Study of the anti-hypertensive effects of Gymenosides, ginseng and Indapamide in patients with essential hyperetension. Guizhou Medical Journal. China 1996. Jiaogulan is a powerful antioxidant and an effect immune systems booster. A experiment by W. Chen, Ph.D., that appeared in a 1996 issue of the American Journal of Chinese Medicine, found Jiaogulan helped preserve immune function in rats receiving gamma-ray bombardment, suggesting that the herb may help cancer patients who are undergoing radiation therapy which tends to depress the immune response. Moreover, recent medical research suggests gypenosides from Jiaogulan may have a direct inhibitory effects on tumor cells. In addition to these beneficial secondary effects, animal and human studies suggest that Jiaogulan may have a direct inhibitory effect of cancer. In laboratory studies researchers found that rats injected with a known carcinogen developed fewer and less frequent tumors when allowed to ingest water infused with Jiaogulan. The development of cancer was also delayed by about 6 weeks suggesting to the researchers that Jiaogulan was having a direct inhibitory effect. In a human study researchers found that the active ingredients in Jiaogulan increased the NK cell activities in patients with uro-genital cancers. NK cells are the cells in our body’s that routinely remove potential tumorous cells from our system as they are formed. Enhanced NK cell activity is closely linked to the inhibition of cancer. Jiaogulan is a regular part of the training regimen for many runners, swimmers and endurance athletes. The anti-oxidant effects aid in muscle recovery. Moreover, Jiaogulan is believed to directly improve cardio-vascular function. Better cardio-vascular function means more oxygen reaching muscles and hence improved athletic performance. Specifically anti-atherosclerotic effects have also been reported. In 1990, the “antiplatelet-aggregation effect of gypenosides extracted from C. pentaphyllum was studied” by J. Wu, et al., in test-tube and in vivo environments. The analysis found that these compounds significantly increased platelet cyclic adenosine monophosphate (cAMP) levels which, in turn, held back the sticking together of platelets–aggregation, what causes atherosclerotic plaque. These anti-platelet-aggregation effects also can reduce the chances of thrombosis, developing a thrombus, or fibrinous clot, which can form in a blood vessel or in a valve of the heart. H. Tan, et al., looked at test-tube samples to observe the action of Jiaogulan on platelet clumpiness. Their results revealed that C. pentaphyllum effectively blocked platelet aggregation that was brought on by chemicals, sped up the breakup of platelets had already started clumping, and prevented thrombosis. Jiaogulan increases cardiac function. In a study combined with some other herbs heart stroke volume increased 37% and cardiac output increased by 21% on the average. Ejection fraction increased by 13%. Subjects had normal blood pressure which did not change although heart rate decreased by 10%. Researchers at the Guiyang Medical College in China conducted studies of 220 athletes and 30 average subjects using color DOPLER imaging. The study showed that just 30 minutes after receiving a dose of gypenosides, 100% of the test subjects showed positive effects. The effects measured included, increased stroke volume and cardiac output, decreased left ventricular end-systolic diameter and increased left ventricular end-diastolic diameter. The heart rate and blood pressure did not increase. This implies that Jiaogulan improved the efficiency of the pumping action of the heart such that the heart did not have to work as had to produce the same volume of blood flow. The relevant research studies are cited below. Jiaogulan lowers total cholesterol, LDL cholesterol, and raises HDL cholesterol. More than 20 papers have been published on the subject with effectiveness reported as ranging from 67 to 93%. The anti-cholesterol and anti-triglyceride effects of Jiaogulan’s saponins were examined in a 1983 study by Y. Kimura, et al. Crude gypenosides were tested for their effect on lipid metabolism in rats fed high-sugar high-fat diets. It was found that giving these extracts reduced levels of serum triglycerides (as important a marker as cholesterol), total cholesterol, and phospholipids; lipid peroxidation was also decreased. There are over 20 published human studies on the effectiveness of Jiaogulan (Gynostemma pentaphyllum) in lowering cholesterol. The estimates of overall effectiveness range between 67% and 93%. Most of these studies showed that Jiaogulan and its active ingredients called gypensosides lowered blood serum cholesterol, triglycerides and LDL. They also increased HDL this improving the critical LDL to HDL ratio. There is growing evidence that in addition to its many other therapeutic properties Jiaogulan (Gynostemma Pentaphyllum) may be an effective component of therapy for diabetes. In clinical trails in China, 89% of patients with Diabetes mellitus who were treated with gypenosides (the medical term for the active ingredients in Jiaogulan) lowered, Glycohemoglobin, cholesterol, triglycerides, LDL and blood viscosity to the normal range in just 8 weeks. Their serum HDL was increased. The herb Jiaogulan (Gynostemma Pentaphyllum) has been shown in both laboratory and clinical trials to have potential to improve the human immune response. There are three separate biological mechanisms at work in Jiaogulan with regard to immune response. First, Jiaogulan has been shown to stimulate the body’s internal production of the antioxidant enzyme superoxide dismutase (SOD). Second, Jiaogulan has been shown in clinical trials in China to stimulate higher white blood cell production. White blood cells are the body’s main defense against infectious disease so higher white blood cell counts (WBC) are strongly associated with the body’s ability to resist illness. In one study leucopenic (white blood cell deficient) patients were given gypenosides (the clinical name for the active components of the herb gynostemma pentaphyllum) for one month. The average patient doubled their WBC during this time. In a second study cancer patients who were leucopenic due to radiation therapy were divided into three groups, the 1st group was given Jiaogulan mixed with a traditional Chinese herbal blend, the 2nd group was given only the herbal blend and a third group was given a generic health tonic. The average patient in the group taking Jiaogulan more than doubled their WBC in an average of just 4.69 days with a 93.55% effectiveness. The control groups took much longer and were only 71% and 50% effective respectively. Finally, Jiaogulan has been shown in laboratory and clinical testing to modulate lymphocyte transformation and and enhance lymphocyte activity, which is another way of improving the effectiveness of our white blood cells in creating disease antibodies. In the clinical phase of these studies, patients with immune deficient systems due to cancer treatment were given 240 mg of Jiaogulan each day. The test group was able to maintain their cellular immunity despite continued radiation therapy whereas a control group that did not receive Jiaogulan had marked decrease in lymphocyte activity. The group was followed for over a year and the Jiaogulan-treated group showed a much better average prognosis than the control group. The researcher concluded that Jiaogulan could be used to protect cellular immunity. Cheng, J.G., et al. “Investigation of the plant jiaogulan and its analogous herb, Wulianmei.” Zhong Cao Yao. Chinese. 1990. 21(9): 424. Li Shi-Zhen (Ming dynasty): Ben Chao Gangu Mu (Compendium of Materia Medica) Vol. 2. People’s Health Publisher. Chinese. 1985. p. 1326. Wu, Qi-Jun. (Qing dynasty). Zi Wu Ming Shi Tu Kau (Textual Investigation of Herbal Plants) Vol. 2, Shang Wu Publishing House.Chinese. 1957. p. 559. Qu, Jing and combined research group of Traditional Chinese/Western Medicine, Yunnan. “Study of the therapeutic effects of Chinese herb,jiaogulan in 537 cases of chronic tracheo-bronchitis.” Zhong Chao Yao Tong Xun (Bulletin of Chinese Herbs and Medicines). Chinese. 1972. (2): 24. Wu, Y.G., et al. (ed), Dictionary of Chinese Materia Medica Vol2, p.1088, Shanghai Science and Technological Publishing House, Shanghai, 1st. ed. Chinese. 1998. Nagai, Masahiro, et al. “Two Glycosides of a Novel Dammarane Alcohol from Gynostemma pentaphyllum.” Chem. Pharm. Bull. 1981. 29(3): 779-83. Izawa, Kazuo. Color Encyclopedia of Medicinal Herbs. Jpn. 1998: 458. Nagai, Masahiro, et al. “Abstracts of Papers.” The 23rd Meeting of the Japanese Society of Pharmacognosy. Jpn. Nov. 1976: 37. Takemoto, Tsunematsu, et al. Health Before You Know It.-Amachazuru. Eng. Yutaka Nakano Shobo 1984. Ibid. Takemoto, Tsunematsu, et al. “Studies of the constituents of Gynostemma pentaphyllum Makino. I. Structures of Gypenosides I-XIV.” Yakugakuzasshi. Jpn. 1983. 103(2): 173-185. Bergner, Paul. The Healing Power of Ginseng. Prima Publishing. 1996. 107. Yoshikawa, K., et al. “Studies on the constituents of Cucurbitaceae plants. XVIII. On the Saponin constituents of Gynostemma pentaphyllum Makino (13)” Yakugaku Zasshi. Jpn. 1987. 107: 361-366. Arichi, Shigeru, et al. “Saponins of Gynostemma pentaphyllum as tonics.” Kokai Tokkyo Koho. Jpn. 1985. 60(105): 626. Arichi, Shigeru, et al. “Saponins of Gynostemma pentaphyllum as neoplasm inhibitors.” Kokai Tokkyo Koho. Jpn. 1985. 60(105): 627. Arichi, Shigeru, et al. “Prevention of glucocorticoid side effects by saponins of Gynostemma pentaphyllum.” Kokai Tokkyo Koho. Jpn. 1985. 60(105): 625. Insomnia. 112 cases on insomnia reported a sleep improvement of 89 to 95 percent. Jiaogulan is not a stimulant; it may may be recommended for heart ailments. such as those who have recently undergone chemotherapy or radiation treatments. Immunostimulant. This herb modulates lymphocyte formation and increases lymphocyte activity. It was also found to greatly enhance the activity on NK (Natural Killer cells) in cancer patients. condition. Another study also shoved satisfactory results. Hepatitis B. 100 patients were given Jiaogulan for 3 months. effectiveness was rated at 89% . study of 96 cases had a 92% effectiveness rate. Silicea 5C, Calcarea phosphorica 9C, Aurum metallicum 9C, ginkgo biloba 9C Dandelion 4C, Fucus vesiculosus 5C. Discover Simple, Quick and Delicious Smoothies, Teas and Vegetable Cocktails!